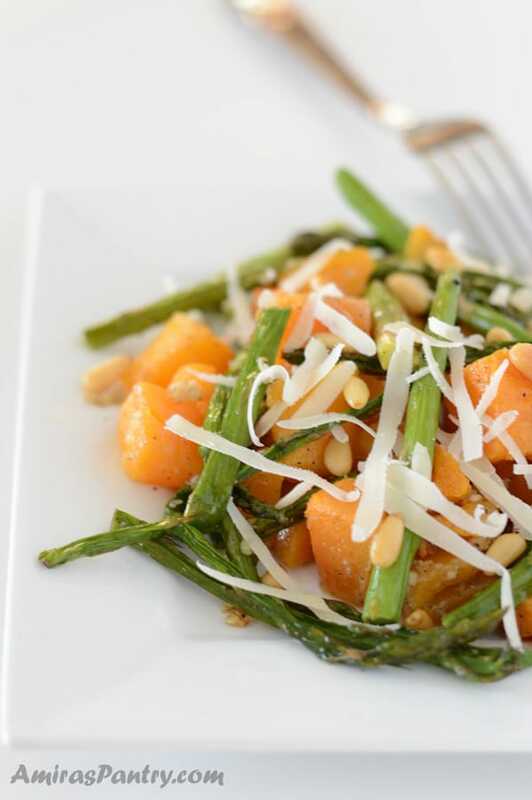 Roasted butternut squash with asparagus is a quick, easy and healthy side dish to accompany any buffet you have this holiday season. Sometimes you need something easy, healthy and bright. 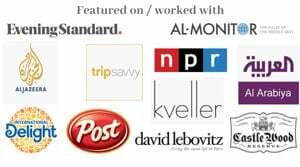 Something that does not slave you in the kitchen, as you already have all these holiday recipes you want to try. 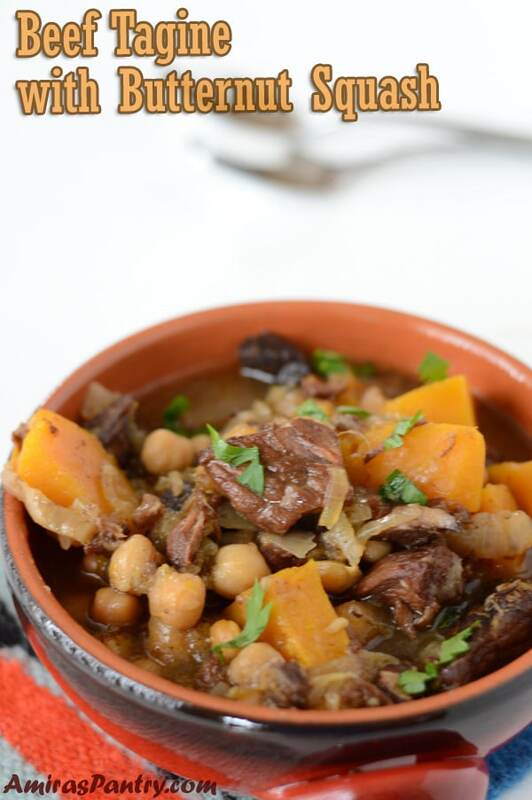 Or sometimes you just need a break, a breezy easy recipe to fill hungry tummies, simple yet elegant and fulfilling. 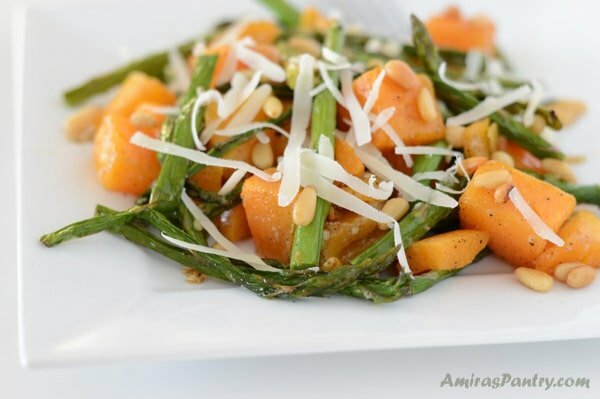 I find this baked butternut squash & asparagus side dish is one that fits in all the categories above. I did not like asparagus or butternut squash when we first came here, actually I thought green beans are much better than asparagus!!  . Now I know better, and my tastebuds can acknowledge that they are totally two different and delicious vegetables that should be appreciated on their own. I like roasting asparagus with butter and with a sprinkle of salt and pepper. This is a non-fussy recipe that starts with fresh veggies with some simple seasoning to kick the flavors. Easy to prepare, quick to roast, pretty to serve and delicious. Although, I have to warn you that peeling and cutting a butternut squash can be a pain in the …. you know what . 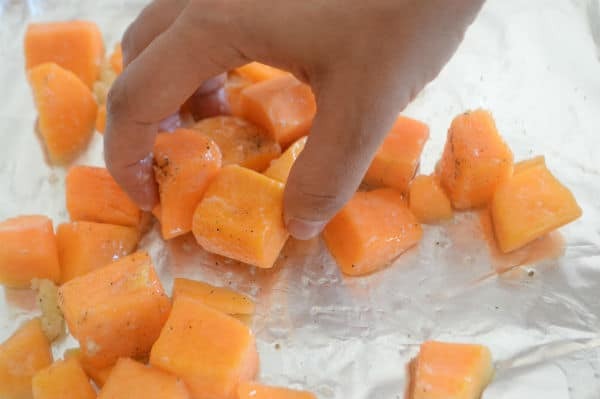 The best tip I’ve found to ease the pain of peeling and cutting a butternut squash, is to poke some holes with a fork in it and then microwave for 3 minutes, let it cool then peel and cut. If you can find a package of already peeled and cut it would be great but costing more ofcourse. Otherwise, this tip worked great for me. I’ve just added fresh garlic, salt and pepper to the veggies .But you can use other herbs that you might like as well, thinking thyme, basil and you can also add other veggies as well like red potatoes but you need to adjust the cooking time. I’ve also made it with olive oil and butter, really try not to skip the butter it gives this simple dish a heavenly taste, not that I am saying without it, the dish will taste bad but just not as good. Also I’ve found it highly desirable to toast some pine nuts and serve this dish sprinkled with shaved Parmesan cheese and toasted pine nuts… so yummy. 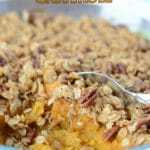 I hope you’ll like making this simple dish and it will ease your days in the kitchen.Enjoy the rest of the weekend. 1 teaspoon minced garlic divided. 1-2 cups butternut squash cubed. 1/2 bunch thin asparagus spears trimmed. Shaved parmesan and toasted pine nuts. Mix butter and olive oil then divide in half. Toss butternut squash with half the mixture, garlic and sprinkle with some salt and pepper. Toss the asparagus with the remaining garlic and oil/butter mixture. 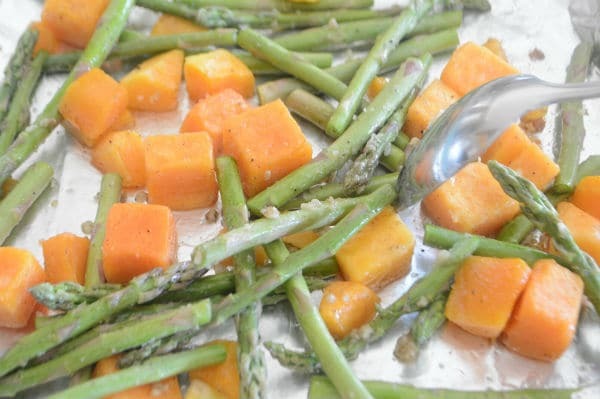 Take the squash out of the oven, add the asparagus and toss all together. Return to oven for 10-15 more minutes or until it is done as you like it. 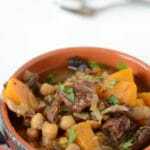 Need more squash recipes? 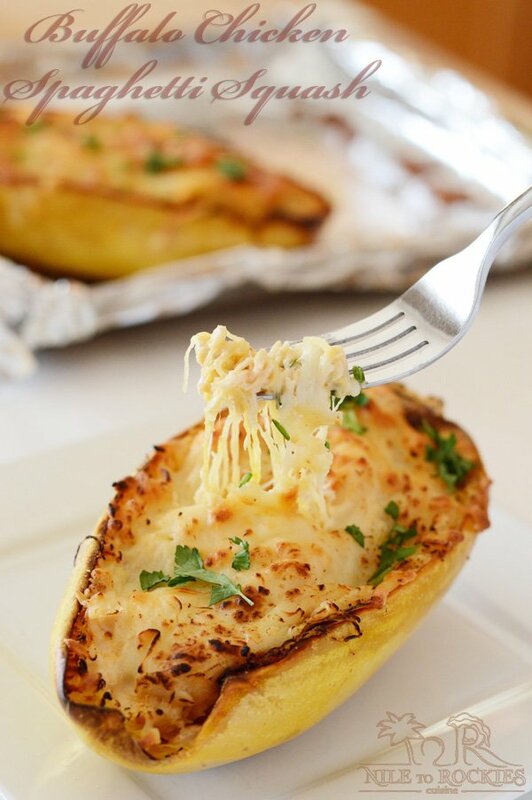 check out our squash recipes here. This looks SO fantastic! Oh my goodness! I cant wait to try this!! This sounds really good. 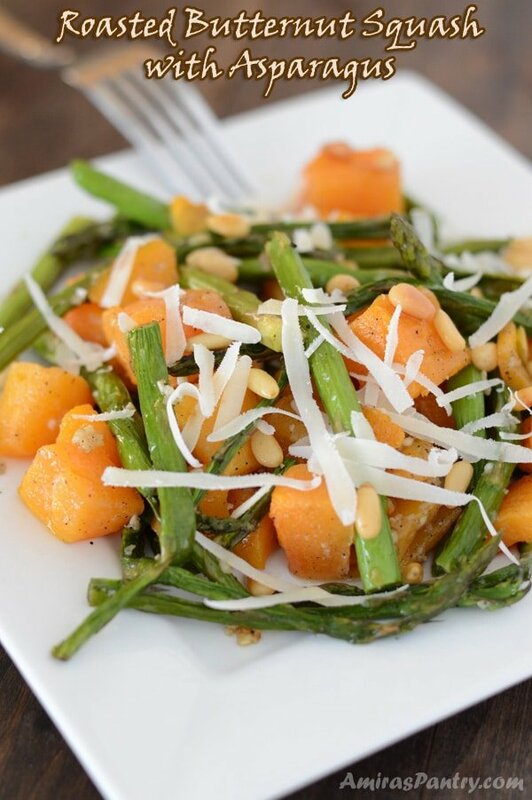 I love asparagus and I love butternut squash. I would never have thought to combine them, though! 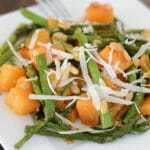 If you still said green beans were better than asparagus…I may hagv ehad to end our friendship here 😉 Looks realy good and love that it is a mix of fall and srping veggies. Hahaha I would not forgive myself if this happened :). Thanks Eve.